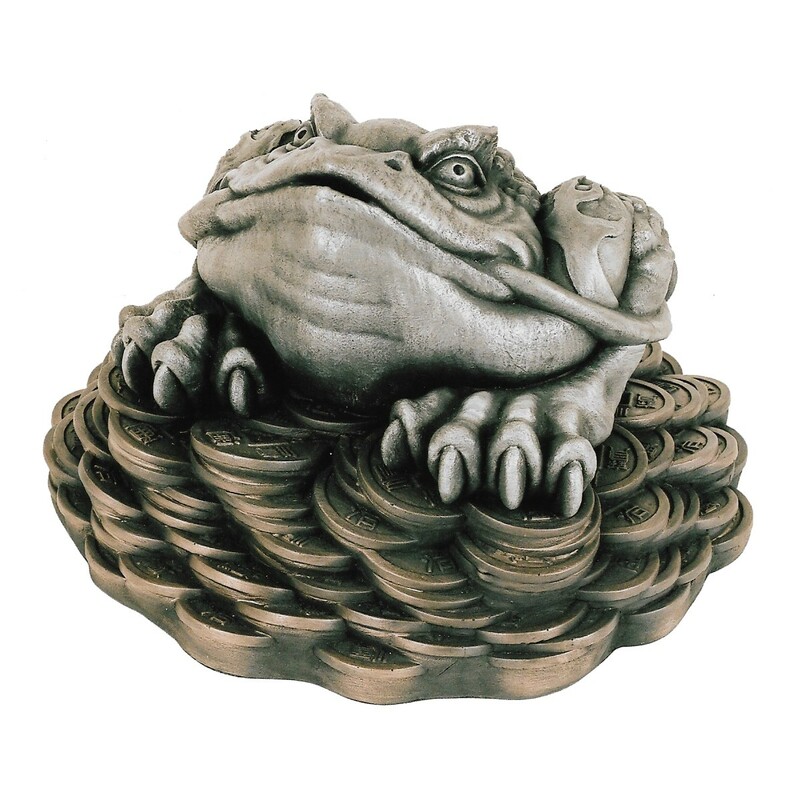 Fibreglass House/Garden Ornament – Money Toad with coin. 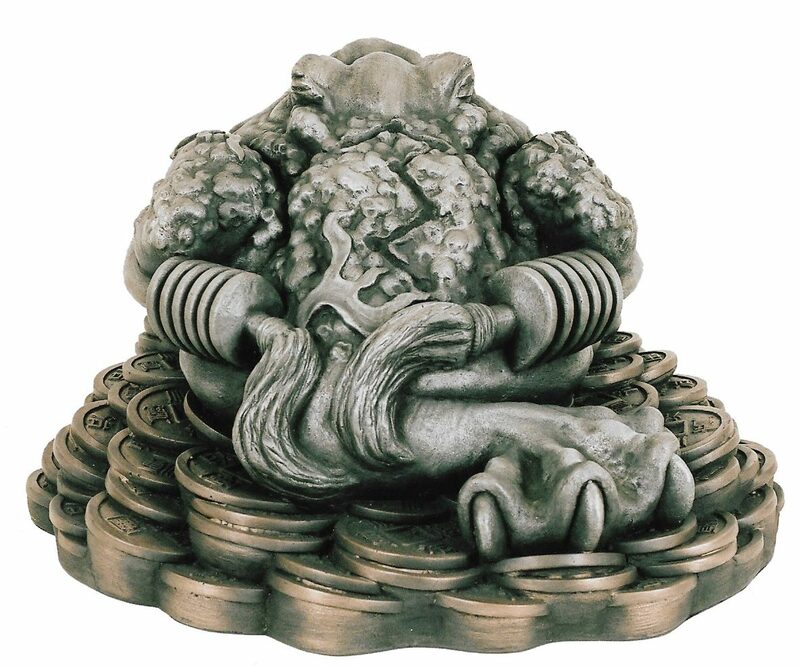 Metal impregnated Glass reinforced resin with pewter cast Chinese coin. A traditional symbol of prosperity and abundance. It is believed its influence will bring good fortune. From Chinese Taoism, an ancient religion concerned with Tao and the way of flow and harmony, where the Sun, Moon and Stars are deeply honoured. There was once an immortal, an excellent archer called Hou Yi. One day ten Suns rose into the sky together. Their heat at first was most welcome, but after a short while the crops withered, the lakes and rivers dried up and the livestock lay down to die. The very existence of the World was threatened. The Emperor prayed to heaven for help. The Lord of Heaven heard his prayers and ordered the Suns to return, but when they refused he sent his most respected assistant the excellent Archer Hou Yi to simply threaten the Suns into obeying their Lord’s command. So Hou Yi descended to Earth accompanied by his wife Chang O. When they arrived and Hou Yi saw the destruction the Suns had created he became very angry. So angry was he that he went to the tallest tower, took out his bow and fired at each Sun until all but one remained in the sky. The people praised him for his skillful help. But when the Lord of Heaven discovered that nine of his beloved Suns had been destroyed he maded Hou Yi and his wife mortal and banished them to remain on Earth for the rest of their days. Hou Yi was deeply distressed, for many years after he did many good and noble deeds to earn back his Lord’s respect and be allowed to return to Heaven. On one of those deeds he built a Summer Palace for the Queen Mother of the West and was rewarded with an elixir of eternal life, a pill of immortality. But unable to take it straight away because of urgent tasks Hou Yi hid the pill in the rafters of his house. While he was away his wife Chang O discovered the pill and tired of her mortal existence, and unable to resist the urge of immortal existence, she stole and swallowed it. As the pill took effect she started to feel lighter and lighter, lifting her up into the air, until rising so far from Earth that she floated all the way to the Moon. It was so desolate on the Moon, there was no vegetation, just a hare and an old man cutting at a lone cassia tree. She tried to call out but could only croak. Since she was not pure when she took the pill, her human form had been turned into a huge toad with only three legs. One leg had been divinely severed to prevent her from hopping from her lunar prison. And there she remained, cursed and deformed, forever the ‘Goddess of the Moon’. Hou Yi tried in vain to follow her up into the highest heavens. He asked for the help of the King Father of the East, and after discussions with the Gods, impressed by his great efforts on Earth they judged Hou Yi favourably and returned his immortality and placed him in a Palace on the Sun, where he became the Sun God. He was given a gift to allow him the power to visit Chang O occasionally, although she would never be able to visit him. That is why the Sun can illuminate the Moon, but the Moon can never illuminate the Sun, and why on every fifteenth day of every lunar cycle the moon shines with an extra brilliance in the night sky. Where Hou Yi is Yang, full of light and warmth, Chang O is Yin, dark and cold. Here on Earth this mythical creature is said to appear every full Moon near the homes of the residents that will receive good news the very next day. This is usually in the form of wealth or monetary gain. Bringing good fortune. 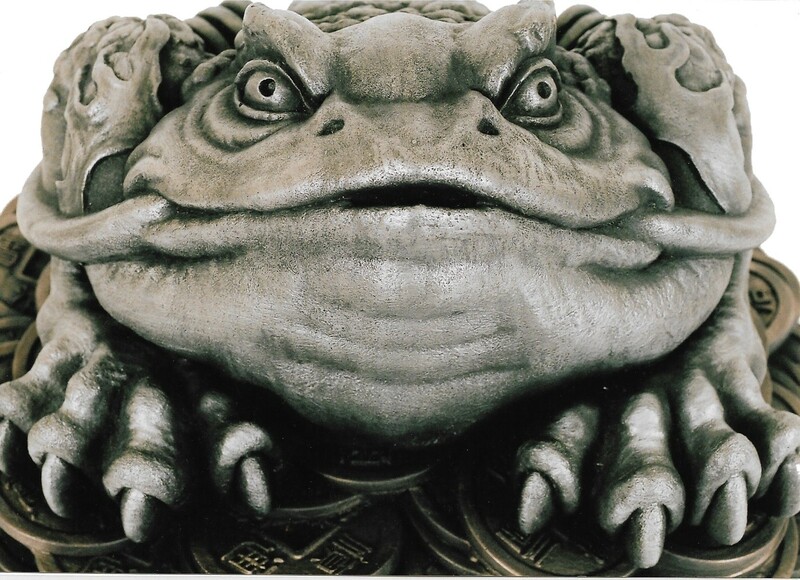 Chang O is now commonly called Chan Chu the Money Toad or Three Legged Toad. Traditionally placed next to the altar of the Earth God, but now more commonly placed in areas of business such as near cash registers, receptions and manager’s offices. At home, placed in the living room or family rooms to enhance the wealth chi of the household. Kept in the corner diagonally opposite the door, at a focal point where chi gathers, to help activate what is traditionally believed to be the wealth luck of the house. 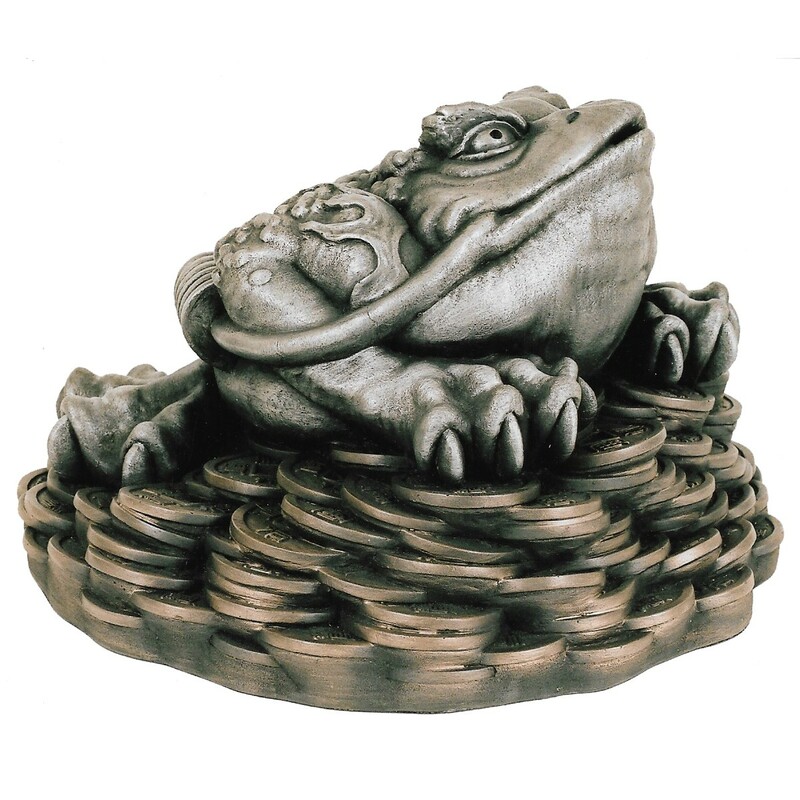 In other sectors of Feng Shui, the Money Toad is always placed in the ‘Prosperity’ or Auspicious sectors. Placed outside the front door or in a porch, facing the door during the daytime with the coin in its mouth to bring wealth into the house. 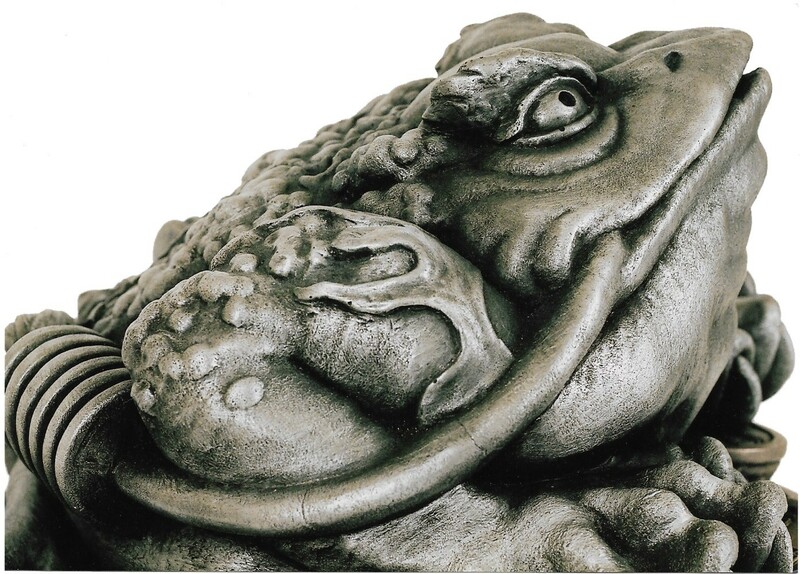 At night the toad is turned around away from the door with the coin removed, keeping the wealth in the house, protecting home and fortune. 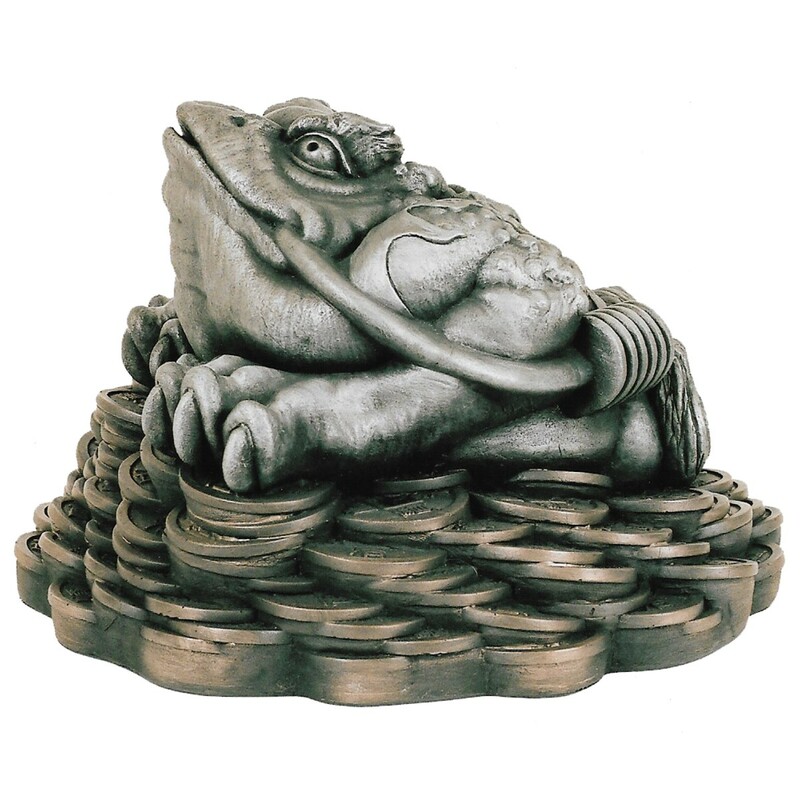 It is said that the reason for having only three legs is to stop the toad from hopping away, but it is probably more likely because three is a special spiritual number signifying balance and support. The coin too is of symbolic importance, the circle representing Heaven and the square the Earth; the embrace of Earth within Heaven. The coins are most auspicious, being representations of those from the Emperor Chien Lung’s reign of the great Ching Dynasty. On its back is the constellation of Ursa Major, the seven stars of the Great North Pole. These stars of the Northern Skies are where the study of Chinese Elemental Astrology is based. The same seven stars coupled with the two hidden supporting stars in the Northern Skies represent the famous Nine Stars of the Ba Gua (Pa Kua), the basis for all study on Chinese Geomancy or Feng Shui.